When our techs are stocking their trucks, they should have a small supply of coax, cat5, and speaker wire. The intention is that if you are on a service call, you will be able to get out of a pinch. They shouldn’t be full boxes. Our trucks aren’t big enough to house all of the wire that we stock in the basement. If our trucks were big enough, you would have too much on the truck to find anything efficiently. If you have a camera installation, for example, we suggest that our techs grab some Siamese in the morning and get it off your truck when the job is finished. 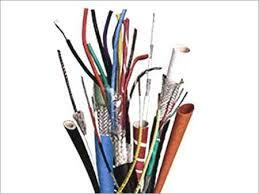 Security wire should be fully stocked in 2 buckets as listed below, but not over-stocked. Basically, they should have 1 bucket of whites/greys and 1 bucket of colors. We carry white/grey cat5 in case it needs to be an exposed wire – it will blend in a garage better than a blue or orange wire.